This is the concluding part of our series on the raag. Characteristic features of Khamaj, the raag that has been the subject of discussion in this column over the past few weeks, are found in many other raags. In addition, it is also treated as a thaat or parent scale under which raags like Khambavati and Jhinjhoti have been categorised. While I do not propose to look at each of these raags closely, I thought of featuring two uncommon raags that are influenced by elements of Khamaj in the concluding episode of this series on Khamaj. The first track features Khamaj Bahar, a compound raag with elements of Khamaj and Bahar, a seasonal raag prescribed for spring. As is the case with all compound raags, this melodic structure also includes segments of its constituent raags that flow into each other via a conduit note (in other instances, this could also be a conduit phrase). While there is a predominant presence of Bahar, the shuddha Gandhaar or natural third acts as a turning point for introducing the phrases that are typically associated with Khamaj. The seniormost exponent of the Mewati gharana Jasraj sings a drut bandish or fast composition set to Teentaal, a cycle of 16 matras or time-units. The next raag is called Khamaj Bhatiyar or Khamaji Bhatiyar. Listeners will note that Bhatiyar as we know it today, a raag prescribed for the morning, does not form a part of this melodic framework. However, Khamaji Bhatiyar resembles Jhinjhoti and also has elements of Khambavati, both of which are categorised under the Khamaj thaat. 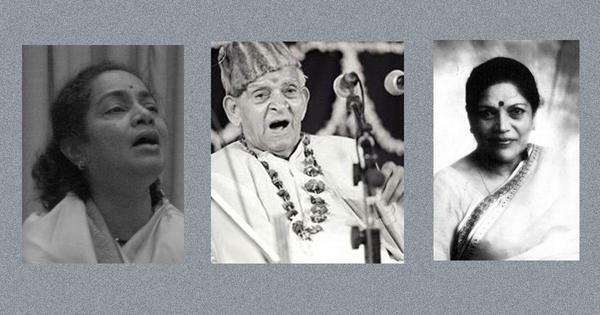 Here are three interpretations of the same raag. The first is by Anandrao Limaye, a respected scholar-music of the Jaipur-Atrauli gharana. He sings a composition set to a slow-paced seven-matra Rupak followed by a composition in Teentaal. Bande Hussain Khan sings the same composition, albeit with a slight variation in the song-text. Notably, he employs a komal Gandhaar or flattened third. 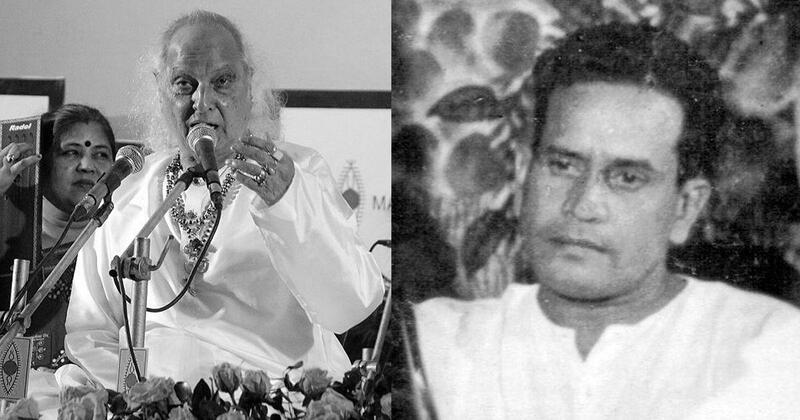 The last interpretation is presented by the renowned maestro Bhimsen Joshi. He sings a composition in a medium-paced Teentaal. Harmonium and tabla accompaniment is provided by Tulsidas Borkar and Nana Muley, respectively.